Consider for instance his work with the imago dei. 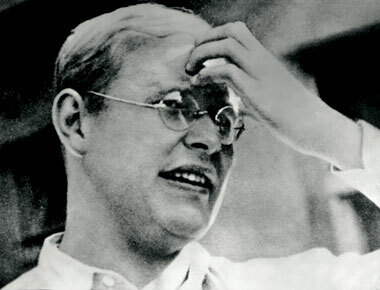 Bonhoeffer claims, actually in SC, that the image remains present in every human being because “only through God’s active working does the other become a You to me from whom my I arises…One might then speak here of the human being as the image of God with respect to the effect one person has on another.” Bonhoeffer is still a bit stuck in an idealist mode with his relationality. What we must in fact affirm is that the relation touches down in the concrete, even if it cannot reside there; it does not simply pass through me to the other person in a “spirit-only” sense. God’s Word sustains the fullness of our being; He is always sustaining the image ontologically from His side, even as we drop it ontically in specific ways from ours. Here, I am invoking something like the doctrine of privation: God upholds our being and acting, but we co-opt and warp that principle in the process in particular choices (and through those choices, established dispositions – Augustine) to do evil. We recall that in SC that Bonhoeffer suggests a Christ principle unfolding in all believers. He also suggests there that “everyone else” belongs to an “Adam principle” that functions in much the same way, except that it unfolds in sin. Precisely here Bonhoeffer both succeeds and fails. He succeeds in that he maintains the relationality of humanity and shows the inescapability of ontic sin. He fails in that he gives Christ and Adam equal status as ontological. Even in Adam, whose ontic-ness we inherit, God’s ontological Word continues its work in the face of the real reality of continual co-opting by sin. Of course, Bonhoeffer’s emphasis in CF is on the renewal of the imago in Christ, which is a distinct relation from the original imago. He speaks of how this new analogia relationis sustains us ontologically from God’s side. Poignantly, this relationship makes us free for others, who are grace to us precisely in that their otherness reminds us of our creaturehood. They reinforce the boundaries of the self that God gives. Again, the horizontal and vertical are bound together tightly in the fundamental establishment of our being (cf. Levinas above), but in the proper order. The gift of the imago, in either of its forms (created, renewed), is a prime example of what Bonhoeffer means saying that the imperative is the indicative. God commands existence and this command unfolds in a way that indicates to the creature her way of life. Now, as beautiful as this idea is, it is also dangerous, in that it is an idea Bonhoeffer seems to take over fairly directly from Barth. Indeed, I think that it presages the development in Barth of the further idea that the Law is the “form” of the Gospel – the imperative is always united with the indicative. For Bonhoeffer, as well as Barth, this means that the gift of our being always flows ineluctably into the task of our becoming in appropriate action toward God and others. Now in one sense, I think this is quite true of the originary gift of being. We have a being that is given as delimited (we are a self, not a confluence of cosmic powers) by its very opening toward others, indicating that communion with those others is the meaning of our being. At the same time, Bonhoeffer does not sufficiently distinguish this idea from his further suggestion that the command given regarding the tree of the knowledge of Good and Evil in Gen 2:16-17 intends to extend the delimitation of our being. Taken at face value, this depiction could mean that task becomes equal with gift in the meaning of our being. What we must say instead is that the gift of being opens onto further commands oriented toward our becoming in a concrete historical situation. Here, I think we find the meaning of the so-called “third use of the law” as an original component of God’s creative plan. In essence, God always planned to give us a righteousness coram Deo as gift that could be extended coram hominibus as task by specific commands – specific commands that determine nature toward a given history. Likewise, the original grace we receive of experiencing our creaturely being through the Other as image of God would then naturally open into service to that one according to her historical situation. There is a foundation of being that is in essence “outside of history” and an extension of it within history – related, and yet distinct. What went wrong in this process I think Bonhoeffer exposits rightly: disobedience meant that the imperative could no longer seamlessly orient us toward the indicative, bringing the accusation of the law. What we receive then in Christ is twofold: first, the gift of new being that brings back the unity of basic gift-openness. In this new ontological eruption, we have the possibility in some given instance to hear again and enact, even if only partially, the command of God for the concrete. This command comes to us especially the Face of the Other Person and our vocation to serve her in the concrete historical moment. At the same time, the failure to always instantiate the indicative for the moment will always drive us back upon our general failure to instantiate the unity of imperative-indicative. In this way, the law always accuses and we always return to the Law-Gospel movement. At the same time, we are able to distinguish two different movements: not just our 1) ontic failure, but also 2) the ontological movement from Jesus Christ that enables us to hear the command, even in its specificity, with the joy of Psalm 119. Both are dynamisms. Both never come to rest. We are simultaneously fully saint and fully sinner. A final point, if the patient reader can stand it. This unfolding of christological ontology, or the “Christ principle” as SC called it, opens I think a new possibility for application of the Finnish (and perhaps thereby the Orthodox) insight into theosis to the question of “virtue” as an ethical category. I am not interested here in debating whether we can speak of justification in theotic terms. What is clear in the Formula of Concord is that we can and should speak of God’s indwelling as flowing from the God’s pronouncement of us as righteous in His justifying word. The Word across the void becomes the new shape of our lives; we are sanctified. The Finns I think rightly point out in this regard that for Luther, Christ becomes the “form” of faith within us. Now what does this mean? Or at least, what could we take it to mean? Here we must take up and then depart from the Thomistic tradition, in order to vindicate some of its conclusions. For St. Thomas, grace is something distinct from Christ himself and it comes to be a created “form” in the soul in Aristotle’s sense of that term. The form is that which makes something what it is, as the rational soul is what makes a human a human rather than an animal. The form is therefore the principle from which a thing acts “according to its nature.” Grace for Thomas is also the source of the operations of various virtues; virtues are likewise created structures (“habits,” this time) that form the various faculties (intellect, will, passions) so that they are ordered rightly relative to one another, thus producing right acts when they are activated. Thus, what if take seriously Christ “as the form of faith” as a philosophical concept? Christ as uncreated grace, rather than created, would thereby take up the position of the “form” of our soul; he would give it his own shape. Remember however that this is an ontological relationality, not a statically-ontic createdness. It is Christ-existing-as-church-community, unfolding the principle of his life into the specific historical situations of believers. In this paradigm, Christ would hold together our intellect, will, passions etc., patterning them according to his own. Thus we can speak of virtues as the resources of dispositions trained toward a certain kind of action. These are upheld in us through exposure to the Word in preaching and Sacrament, whereby Christ sustains our being and becoming. To put it a little crudely, Christ is sort of like the container which shapes the “waters” of our faculties without ever becoming them without remainder. The relation is of course truly much more intimate, but this image perhaps suggests at least something helpful. Throughout the above, I have been able only to sketch out in broad outline some of the research interests toward which Bonhoeffer spurs us. Hopefully, however, I have made one thing clear: he enables Lutherans to engage in dialogue with both the rest of the Church and the world in a way that allows real interaction with the terms of those traditions while remaining faithful to our own. This in fact was Bonhoeffer’s vision in the Ethics: a Church and world critically engaged and mutually corrective, with Christians entering this dialectic based on their confidence in God’s sustenance of both sides of the equation. Here, I think we can see how, as Luther says in the Large Catechism, faith can be the fulfillment of the first commandment. To receive the revelation of God is to be oriented toward everything that will proceed from that relation, just as faith will then fulfill the rest of the commandments. The first gift of being oriented toward movement toward the other is the long stressed “spontaneity” of good works at their font. 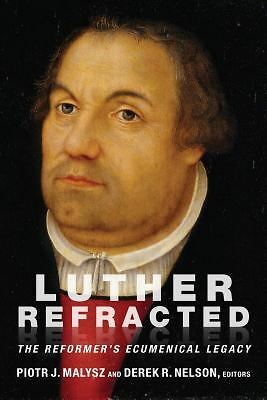 Tuomo Mannermaa, Christ Present in Faith: Luther’s View of Justification, ed. Kirsi Stjerna (Minneapolis: Fortress, 2005).